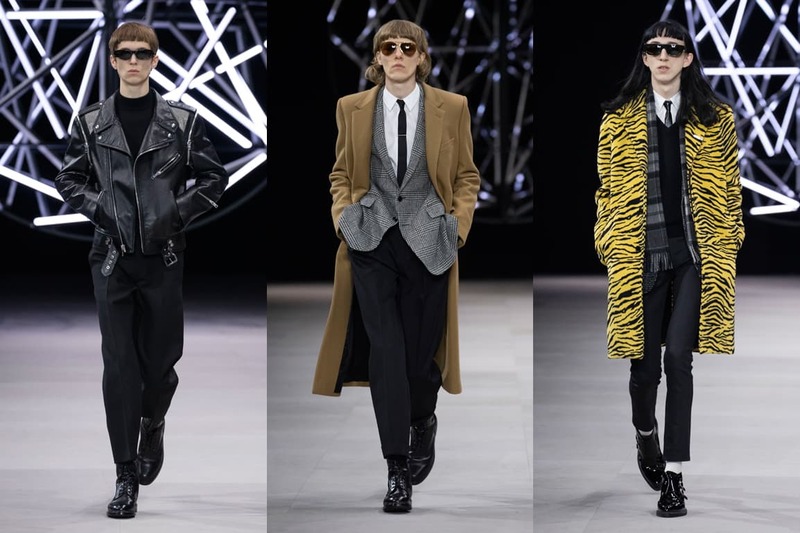 Men’s Fashion Week for the Fall/Winter 2019 season just came to a close in Paris, and it ended with the most anticipated presentation of all: Celine‘s inaugural menswear collection by Hedi Slimane. While there was a lack of excitement from critics when he released his first women’s collection for Celine last September (with the majority of them deeming the collection to be too much déjà vu to his work at Saint Laurent), the first round of feedback for his debut standalone menswear collection for the brand has come in both hot and cold. Is it beautiful? Yes. Is it familiar? Very much so. 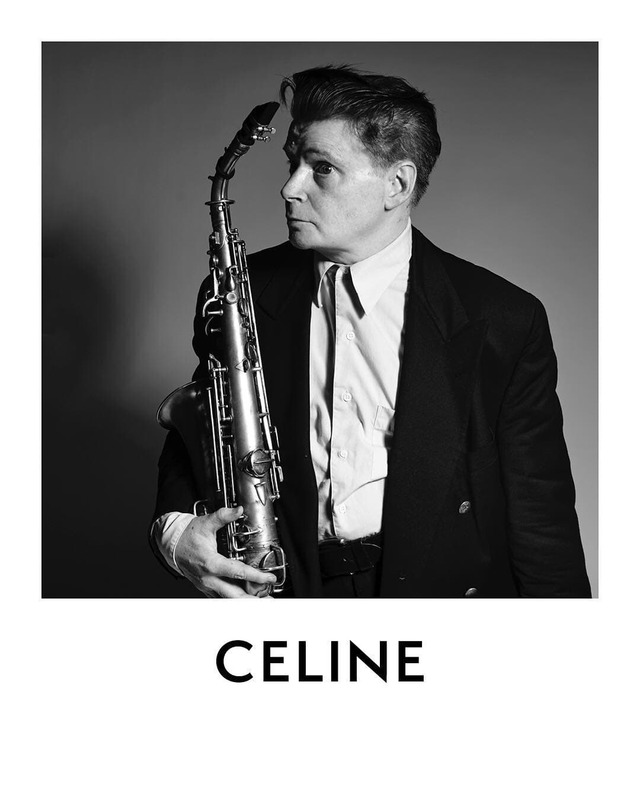 For Celine’s first menswear collection, Hedi Slimane once again takes inspiration from his favourite New Wave era, and even invited legendary saxophonist, James Chance, to perform at the show. Slimane’s love for music and youth continues to run strong, and once again he takes inspiration from his favourite New Wave music (a post-punk musical genre from the late ’70s) for inspiration, only this time, it’s coming all the way from London. Having spent quite some time there in the early 2000s to document the then emerging indie music scene, Slimane maintained a strong connection to Britain and its music throughout the years. After becoming familiar with the current works of some of the inspiring young musicians in the UK, he returned to the city, where he stayed for a few months photographing these young talents, all while designing this collection for Celine as a way of documenting the young British creative community. Traditional tailoring dominated the collection, featuring a rectangular volume that was present in his last collection for Celine, paired with pleated, baggy high-water pants. 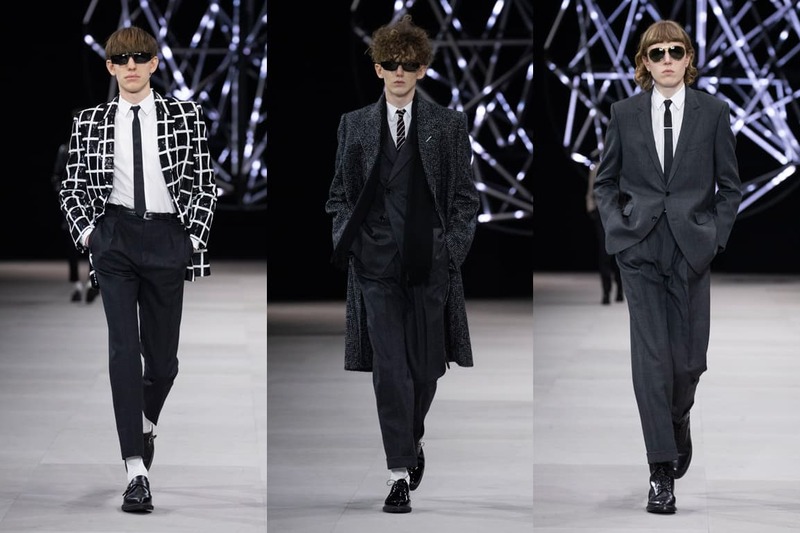 The collection consists of Slimane’s signature rock-glam aesthetic, and all that you would expect from the designer: slim-cut suiting, skinny ties, biker jackets, square frame sunglasses, skinny (mostly white) androgynous models and more. Traditional tailoring dominated the collection, featuring a rectangular volume that was present in his last collection for Celine, paired with pleated, baggy high-water pants. What really took the spotlight, however, were the overcoats, which were found layered over tailored suits and leather jackets, available in various styles, fabrics and patterns from tweeds to donegals, cashmere and more. Overcoats were a standout, found layered over tailored suits and leather jackets in various styles, fabrics and patterns from tweeds to donegals, cashmere and more. 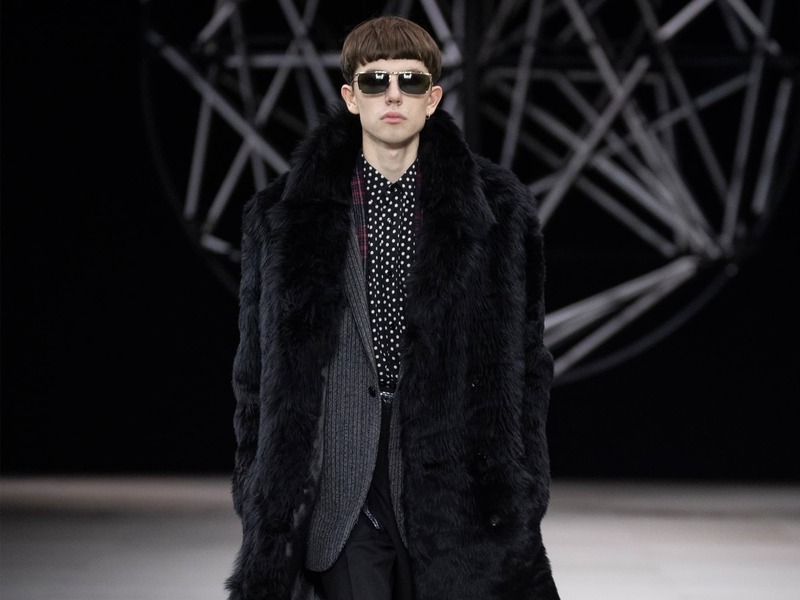 Hedi Slimane has always been known for his talent with menswear; after all, it was his works at Dior Homme and Saint Laurent that earned him his legendary status today. His creations are still as desirable as ever, and will always be appreciated, but in a world where every luxury fashion brand is pushing its way forward by experimenting with the popular culture of today, Slimane’s collection does seem to lack the excitement one would expect from a highly anticipated, inaugural collection.